Haiti’s success in the first consolation round provided the opportunity to compete for the consolation trophy against El Salvador. Playing under the beautiful Mexican sky and mild temperatures, El Salvador scored first. Haiti equalized the score and the half ended with the score tied. 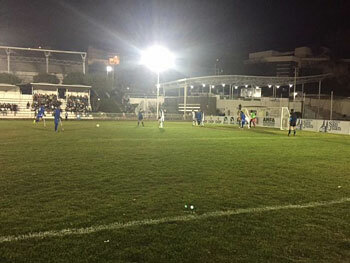 The second half saw the experience of the El Salvador team pay dividends as they scored three goals in the second half. The final score was El Salvador 4 Haiti 1. After the courtesy tour for the stadium crowd where the leg amputees tap their crutches over their heads, both teams gathered in a prayer huddle on the field – grateful to participate in the world’s fastest one legged game.